The froyo craze died down massively a few years ago. We all watched a lot of frozen yogurt outlets open then close around Hong Kong and they are much less prevalent now. Thankfully for survival of the fittest, the best ones seem to still be alive and running right now. 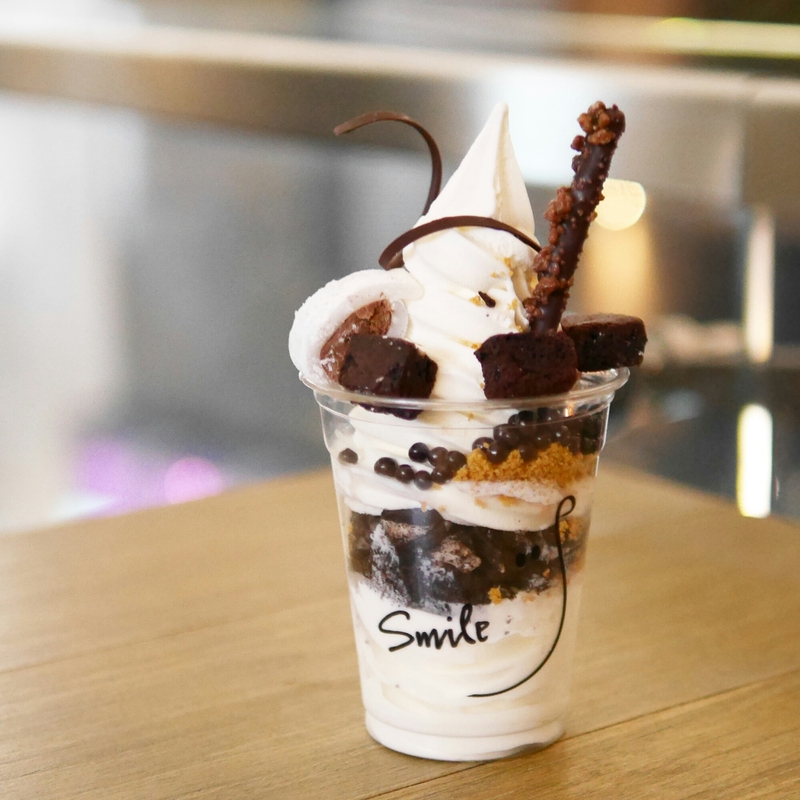 By far my favourite froyo is from Smile. The texture is very thick and creamy (and not icy). The taste is quite tarty but not unbearably so. Sometimes I try to be healthy and order the fruit version, but my favourite combo is really the Chocolate Lover. It’s served with delicious cubes of brownie, tasty crumbs and other chocolate things. I guess the only downside is its steep price of HK$61. Well, if it’s any comfort, the portions are quite big..! Thanks! It is probably the best tasting froyo in HK. You should give it a try if you can!